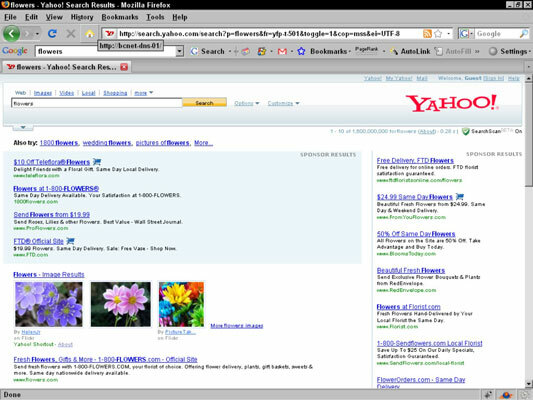 If you want to list your ads so that they display in paid search engine results, you can use Yahoo! Search Marketing. This differs from Google because its human editorial process means that it takes longer for ads to go live. It used to be that your rank was based solely on your bid, but Yahoo! is making changes so that their model is more like Google’s. Fast Track: Provides assistance with campaign setup, keyword selection, ad copy, budget advice, and strategy for a fee of $199. You get a proposal that shows estimated clicks and cost. Ads go online within three business days of your approval. Self Service: Processed online as advertisers create their own bidding strategy with ads subject to review. E-mail notification informs you when the ad goes live, usually within three business days. A full-service option is available if desired, where a Yahoo! Search Marketing specialist provides a proposal showing keywords and projected costs within ten business days, subject to client approval before going live. Besides the time it takes for campaigns to go live, there are also differences in payment policy. Yahoo! requires advance deposits to cover click-throughs (every time a user clicks a paid result ad) and has monthly minimums. If you fall short, you are charged for the difference. If your account runs out of funds, Yahoo! stops the campaign and requires a minimum deposit of three days’ worth of clicks based on recent campaign activity to reactivate the campaign. Quality score is based on the ad’s CTR (click-through rate), the relevance of the ad to the keyword, and the quality of the landing page the ad is sending the user to. Yahoo! Search Marketing offers geo-targeting, which identifies users’ locations by their IP addresses and gives them local results. You benefit most from geo-targeting if you are a local business. (Note that sometimes the user’s IP address happens to originate in a completely different city than where they actually are, so geo-targeting is still not a perfect solution.) Yahoo! Search Marketing also offers ad testing, campaign budgeting, and campaign scheduling. Like Google, Yahoo! Search Marketing offers several placement options — in their own search listings, on their partner sites (which include AltaVista, Excite, Go2Net, InfoSpace, and all the Yahoo! properties), and on their content network (through Yahoo! Publisher Network), which includes Cool Savings, CNN, Consumer Review Network, Knight Ridder, and many more. The above figure shows a typical Yahoo! pay-per-click ad. Return on investments: Yahoo has one of the highest return on investments (ROI) of any of the search engines. Business-oriented: Much more business-oriented than Google. Choice of either Fast Track or Self Service when building your advertising campaigns, with Yahoo! helping you to create the most effective advertising campaign for a fee.